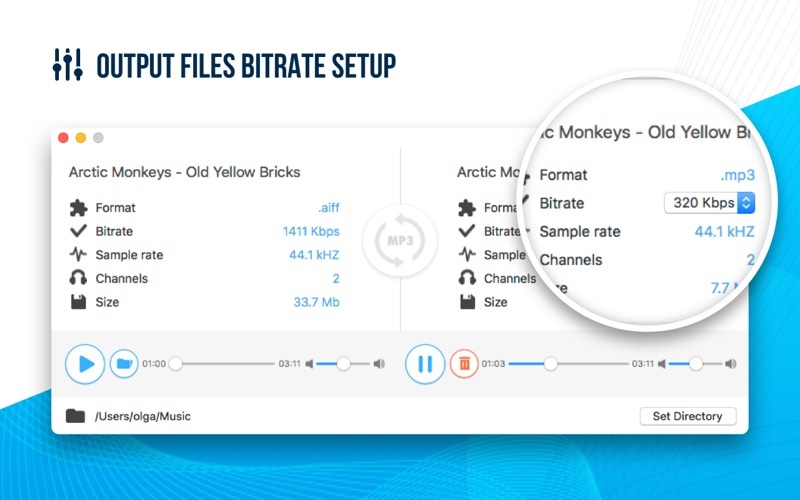 Any audio files to MP3 format in one click! 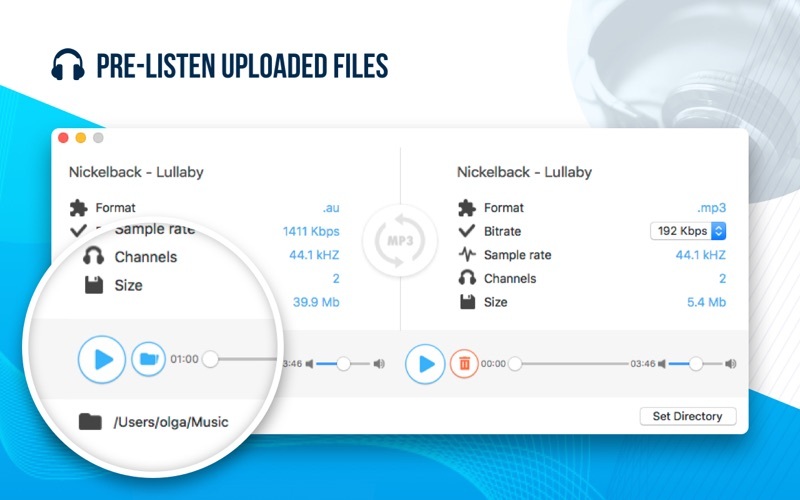 Universally applicable audio utility - All To MP3 Converter Pro. Plenty of formats, bitrate setup and high-quality MP3 files as a result! INPUT AUDIO FORMATS: AIF, AIFF, AIFC, CDA, CDDA, CAF, M4V, MP4, M4A, MOV, QT, WAV, WAVE, BWF, AMR, AC3 and more. 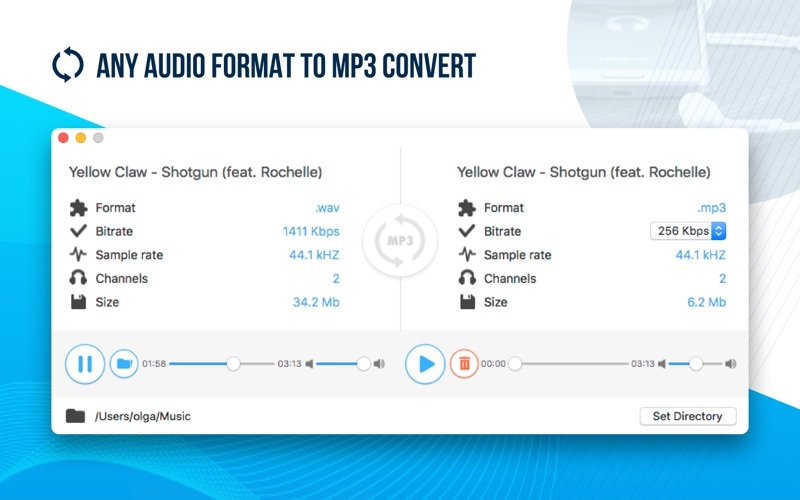 All To MP3 Converter FUNCTIONALITY: - Pre-listen uploaded (and converted) audio files - Output files bitrate setup (320, 256, 192, 128 kbps) - Playback on any devices after conversion - Audio channels and sample rate information High-quality music in your favorite format with All To MP3 Converter Pro utility. I bought this program to convert a wpl file to mp3. It doesn’t work. A total waste of money.